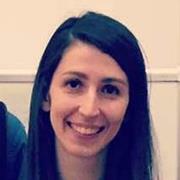 Sonia Konstantinidi joined Cass in 2011 as an Assistant Professor in Accounting as part of the Accounting Group. Prior to that, she worked as an Early Stage Researcher of the INTACCT Research and Training Network 2007-2009. Sonia’s research interests are in the areas of market efficiency, securities valuation and corporate finance. Her research has been published in the Journal of Finance, Contemporary Accounting Research and Abacus. Sonia teaches Advanced Financial Statement Analysis at the MSc level at Cass, and has previously taught Business Analysis and Valuation at the LSE Summer School. Sonia is the academic advisor of a major organisation in the investment management industry in London since 2012. PhD (Lancaster), MSc (Lancaster) and BSc (Macedonia, Greece). German and Greek, Modern (1453-). Konstantinidi, T. and Pope, P.F. (2016). Forecasting Risk in Earnings. Contemporary Accounting Research, 33(2), pp. 487–525. doi:10.1111/1911-3846.12158 . Konstantinidi, T., Kraft, A. and Pope, P.F. (2016). Asymmetric Persistence and the Market Pricing of Accruals and Cash Flows. Abacus, 52(1), pp. 140–165. doi:10.1111/abac.12072 . Golubov, A. and Konstantinidi, T. Where Is the Risk in Value? Evidence From a Market-to-Book Decomposition. The Journal of Finance, forthcoming.